Britain’s landowners have emerged as the biggest winners from the country’s largest yearly increase in national wealth on record, sitting on assets accounting for more than half of the net worth of nearly £10tn. The UK’s wealth rose by £803bn over the course of last year to stand at £9.8tn at the end of 2016, driven by a sharp increase in the value of land, contributing to the biggest annual rise since records began in 1995, according to the Office for National Statistics. The value of land has increased more than fivefold over that period, outstripping the increase in the worth of the properties overlying it. The value of the country’s wealth – as measured by assets accumulated by households, businesses and the state - has risen steadily over the past two decades, barring small setbacks during the financial crisis which have now been left well behind. Total land value has recovered from a fall of almost £1tn recorded in 2008 amid a crash in house prices during the credit crunch, recovering to its pre-crisis peak in 2014 and rising by £280bn over the course of 2016 to stand at £5tn at the end of last year. According to a 2010 report for Country Life, a third of Britain’s land still belongs to the aristocracy, while some of the oldest families in the country have held onto their land for several centuries. Some of the most famous noble landowners include the Duke of Westminster, who owns large chunks of Mayfair and Belgravia in London. The Queen’s Crown Estate owns most of Regent Street and swaths of St James’s, as well as thousands of acres of farmland, forests and coastline. There are also vast tracts of land owned by the government, including areas controlled by the Forestry commission, which is thought to be the country’s biggest land manager, with about 900,000 hectares. The ONS analysis measures the total net worth of the country by estimating the market value of financial assets, such as loans, and non-financial assets, such as land and dwellings. The figures show households and non-profit institutions such as churches, trade unions and social and cultural organisations account for the vast majority of the nation’s wealth. The statisticians estimate the net worth attributable to central government stood at negative £1.2tn as a consequence of borrowing to fund the budget deficit. The former Labour prime minister said the new tax – which would be a levy on underlying land rather than property on it – should replace council tax and business rates to create a “fairer and more rational system of property taxation”.The stark illustration of the gains made by land owners come days after Tony Blair endorsed the idea of a new “land value tax” put forward in Labour’s last manifesto to help solve the country’s housing crisis. Blair said the new tax, which sees the value of underlying land taxed rather than property, should replace council tax and business rates to create a “fairer and more rational system of property taxation”. 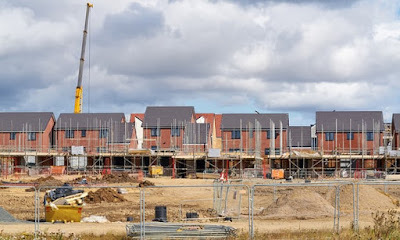 Philip Hammond placed a stamp duty cut for first time buyers and more money for housebuilding at the heart of the budget last month, pledging to boost the number of new homes built to 300,000 a year on average by the mid-2020s – up from 217,000 last year – in the “biggest annual increase in housing supply since 1970”. 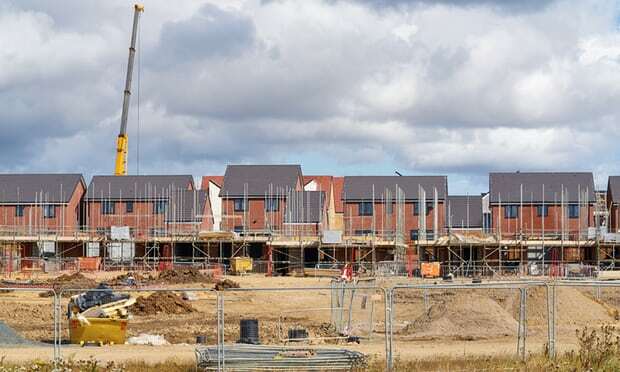 The chancellor also said he would do more to tackle land banking – where housing developers sit on land waiting for its value to increase before selling properties for higher prices – with a promise to reform planning rules. Conservative grandee Oliver Letwin, who was David Cameron’s head of policy, will also review the gap between planning permissions and housing starts on behalf of the government. Letwin’s panel will provide an interim report in time for the Spring statement next year, which Hammond could use as grounding to intervene in the market should it find land being withheld for commercial reasons, rather than technical ones. There are as many as 270,000 residential planning permissions unbuilt in London alone. Hammond has said that options open to the government could include compulsory purchase powers.